Mobile Gourmet Shaved Ice. If its a Birthday party or a fundraiser-We provide fun for all events! Now you’re the cool birthday party on the block because Kona Ice stopped by. We’ll make sure to create memories for all the kids involved, but your kid will always remember the birthday they had Kona Ice! 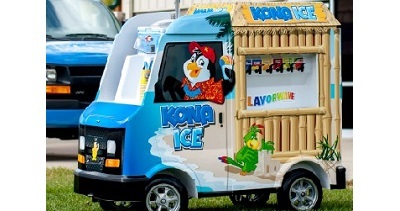 Our Kona truck will have custom party packages for groups of any size - ask about special rates and availability.